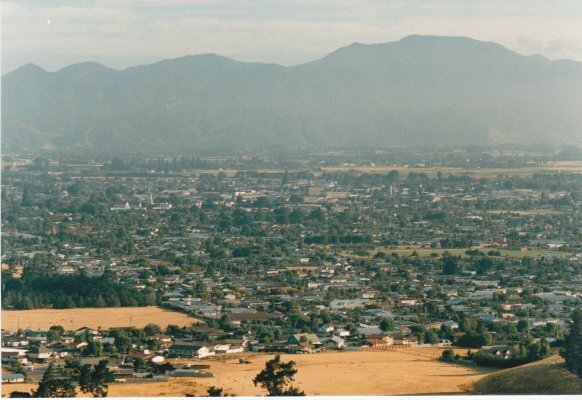 Description View of Blenheim from the Wither Hills Walkway February 1987: "Redwoodtown (foreground), Blenheim town centre". Part of the Brayshaw Park, Beavertown photographic inventory, taken by Roger Thwaites in the 1980s. Although this series of images is not part of Beavertown, they were taken as a record of Blenheim in February 1987.